There are currently 192 students are enrolled in the British Section - 110 in college and 82 in the Lycee. 24 students received the CFE diploma at the end of troisieme, three of them with a grade A and eight of them with a grade B. Among them, two students, Clement Graton and Victory Leriche also won the competition on the Resistance. The three students who took the EAC in Premiere in Lycee also passed. All students of the British Section passed their general baccalauréat (L, S and O), 38.5 % with an A (Tres Bien) and 41 % with a B (Bien). The 27 students who took the OIB all passed. The average score in English Literature was 14/20. Ms. Blasco reminded everyone that the subjects within the British Section curriculum represent 1/3 of the total coefficient. A cultural trip to England for 4eme . A theatre trip to Nantes for 6eme and 5eme in December to see Macbeth. A theatre workshop on Shakespeare's As You Like It. Literary meetings and conferences based on the works of authors within the literature program (theme: Modernism ) led by the English teachers. A Christmas pantomime (as above). Establish support for 1ere students preparing for the CAE. Involvement and participation in the school Open Day. Organisation of the Christmas Party. To launch the Parent and Student Association of the British Section website which will aim to present all the activities of the Section and of the Association and provide information and resources related to education and student orientation. There will also be a blog in order to keep all members updated with the news of the Section. It is with great sadness that we learned of the death of Ms. Lorraine Hird, whose children were students of the British Section and participated in many activities. 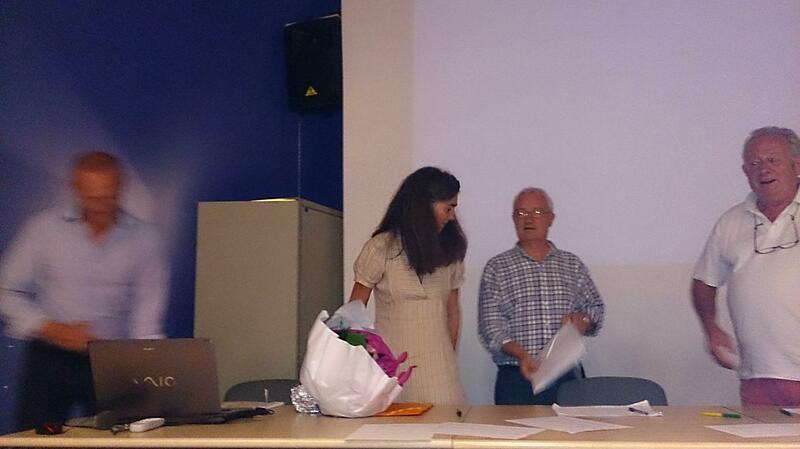 Lorraine ran the Summer School in 2011 and will be remembered fondly by all parents and students who were involved. The Association extends its warmest condolences to Lorraine’s family. Reine Leriche will be stepping down from her role as Secretary of the Association. The officers and all the participants in the General Assembly thanked her for her dedicated service over the previous three years. 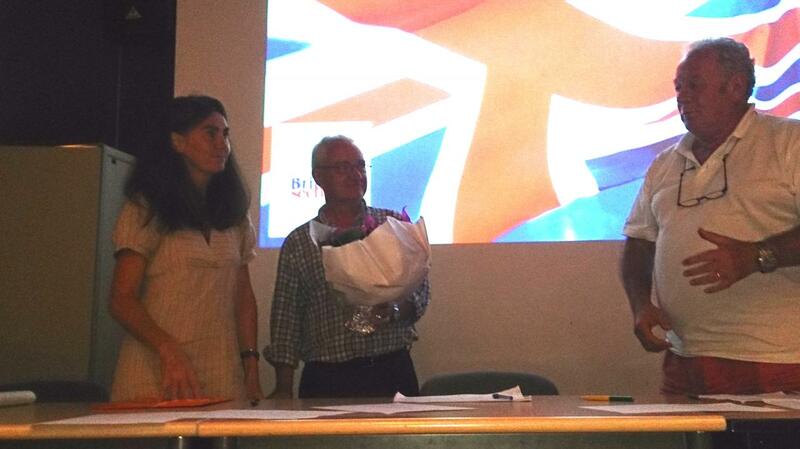 Photo: M. Hargoues - Turon , the Treasurer giving Reine a gift from the British Section. English on Mondays and Fridays from 12.00 to 1.00 pm. The library is staffed by volunteer parents and their schedule is put together by Mrs Delépine. For one hour, the students can settle down with a book or play board games…in English, of course! The library is visited steadily but it gets busier on rainy days. Hardy’s novels and Shakespeare’s plays! Often borrowed DVDs include movies based on Charles Dickens and Jane Austen’s novels as well as Roald Dahl’s books, who is favoured by younger students. Harry Potter is as successful as ever.